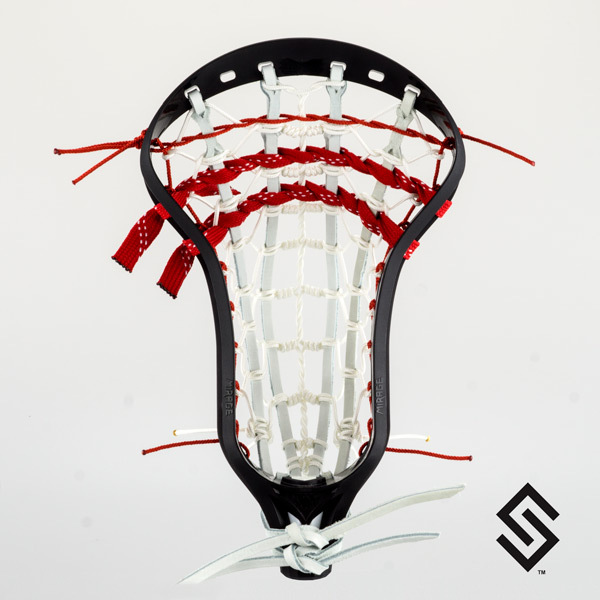 The StylinStrings Trax+ (NFHS/NCAA Legal) Lacrosse Pocket is the traditional cousin of the Mesh-X. The same control and accuracy carries over when trading the mesh center for the twist to coil. This pocket is shown in a Brine Gospel and can be strung in any men's lacrosse head.